So you have been given a project, and some resources nominated to work on it. But in an ideal world, you would identify your resource requirements and then look for people with the necessary skills to fill those roles. Now you are locked into using particular people. Some fit the requirements for resources and some have huge gaps in their skills and experience. What do you do now? In the real world, we rarely get the best resources on a project. Usually we get a mix of resources that are available, and resources that have some association with the subject matter. Unfortunately that is the reality of business today. Organisations must utilize their resources and allocate those resources on an availability basis. Consider yourself extremely lucky if you get really top people in all areas. Resource management may entail saying "No" to the resources allocated, but in most cases the direction will be to make the most of what you are given. This requires a different approach to managing the project from what might be the text book approach. You will need to cover the gaps and limitations. That will make the whole process more difficult. The first step is to define the resource requirements in isolation from the people involved. To do this, create a roles and responsibilities listing for the project. Do not be constrained by the people you have, but start with the ideal way in which the project should be organised. It is often useful to look at previous projects to see what roles and responsibilities existed. The resource requirements for the project. Also look at the resources available and the individual skills they possess. It may be possible to re-arrange the responsibilities to suit the particular people. I remember one project where a junior business user had a reputation as an excellent documenter. We changed some of the responsibilities around to put more of the documentation responsibility with that person. It freed up other business users to focus on developing requirements rather than developing final documents. By now you should have a clear picture of where the resource gaps are. The first port of call is to discuss the issue with the Sponsor or Project Steering Committee. It may be enough to convince them to change the allocation of project resources. Look for people who have the required skills and see if they can be allocated on a part time basis. For example, if you lack business resources with detailed processing knowledge of a particular area, see if you can have a person assigned for a day or two to fill in the gaps. Perhaps there are people from outside the company who could assist in particular areas. If you lack anyone with risk management expertise, there are numerous people available in the market that could carry out a risk assessment. Another solution is to train some people to fill the gap. If you need users to develop use cases for the requirements, and they have no knowledge of use cases, a training program may be the answer. The answer may be to do things a different way. For example if you are looking to implement a software package, but lack development resources, perhaps the best solution is to outsource the management of the package. Seek out an ASP (Application Service Provider) who will run the software and hardware for you. If the resource constraint is the result of a funding decision, perhaps there is another way to fund the resource. For example, if the project does not have the necessary testing skills, perhaps the services of a test specialist could be funded from a department's operational budget, or another project. Perhaps you have a number of developers with VB experience and you are looking at a number of solutions involving both VB and Delphi. One approach is to constrain the selection activity by not considering Delphi solutions. Most of the solutions outlined above will have an impact on the project. It might be cost; it might be time; it might be the scope of the proposed solution. Each of the impacts should be documented and formally agreed by the Sponsor and Steering Committee. If the organisation decides to limit the resources and the skills they provide, they should also be prepared to agree the limitations to the project which may result from their decision. All we have discussed has related to the skills of resources. There is another aspect which is how well the team will work together. I was once asked to take on board two people who had a long history of not being able to work together. It was unlikely that something magical was going to happen just because they were on the same project. The Sponsor was adamant that they needed to co-exist for the life of the project. My solution was to have the Sponsor tell them that I had the power to recommend to the Sponsor they be fired if the situation became unworkable and the project was being impacted. In fact, if they reached a situation where they could not work together, both would be asked to leave the company regardless of who was right or wrong. The following few months were far from easy and I spent much of my time working directly with the two people. Whenever they had to work directly together, I tried to be present. We came close to breaking down a few times but I kept reminding them it was a "loose, loose" situation. If they could not work together, both would end up unemployed. In the end we got through. 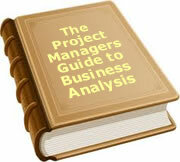 Project Resource management is a complex task and usually not treated with the importance it deserves. It is often a case of being given some people, and told to get on with it. You still however, need to identify the gaps in resource skills, and take actions to plug them. Don't just focus on the resource skills required. Also get some indication of personal issues and try not to fly in the face of the obvious. If two people can't work together in a normal environment, they probably won't work together in a high pressure project environment. Finally, don't just accept resources, and ignore what the project needs in terms of roles and responsibilities. If a responsibility is not allocated, at some point, it will escalate into a problem. Addressing it early in the project life will avoid or lessen the impact. To date, 98 people have rated this article. The average rating is 3.82 - Add your rating. Just select a rating and click the button. No other information required.